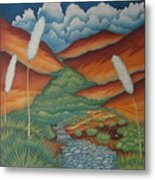 Thank you for accepting me into the Southwestern Painting and Photography Group! 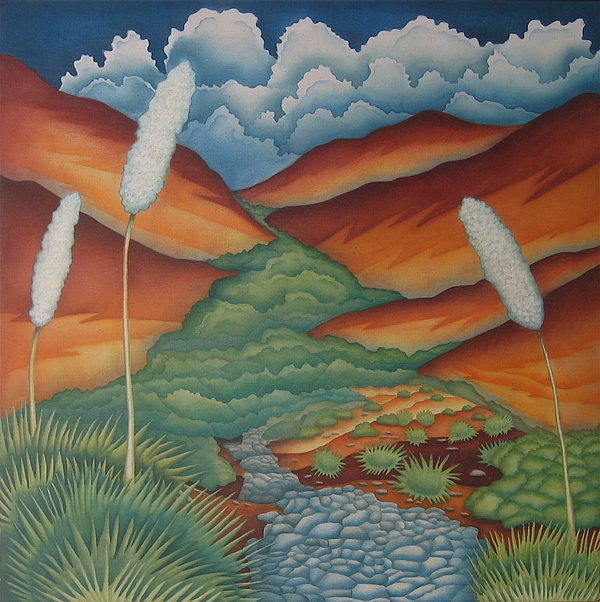 This painting won the Frontera Land Alliance Image Award and was later exhibited at the juried competition, Arts International where it was purchased by a local Oncologist. It can be seen by the public at the Cancer Treatment Institute on 7825 North Mesa Street, El Paso, TX 79932. 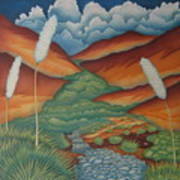 The painting depicts an arroyo in the Franklin Mountains of El Paso. An arroyo is a natural dry river bed that is formed over geological time to create lush conditions for plant life. 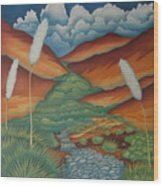 When it rains in the desert, the arroyos become living rivers, rushing, raging and draining the water from the mountain peaks to the valleys. When arroyos are altered with concrete or destroyed, the rain water will create for itself new and unpredictable channels. The purpose of this painting was to communicate visually the beauty of an arroyo and by its tile, "Rain Trail" describe the arroyos function.